As part of their ongoing program to upgrade the hospital to comply with California Seismic Safety Regulations (Senate Bill 1953), PIH directed the architect to relocate and expand their existing 26-bed Pediatric Unit from a nonconforming building to the fourth floor of the Perry Pavilion, a bed tower completed by the architects in 1994. 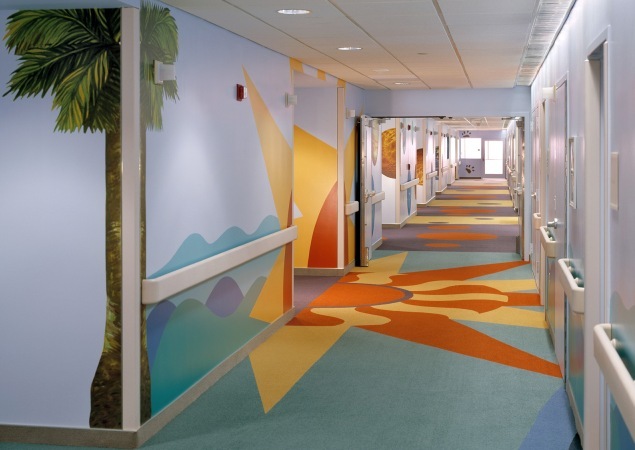 The new unit would convert an existing Medical/Surgical bed floor to a 32-bed Pediatric Unit. This presented both programmatic and design challenges. 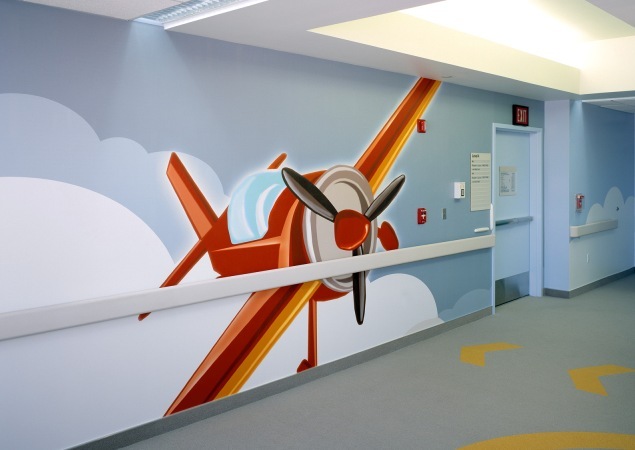 The program changes involved adding isolation rooms, a soundproof treatment room, a four-bed observation room with family room, a pediatric tub room, and children's play room, to the existing patient rooms. 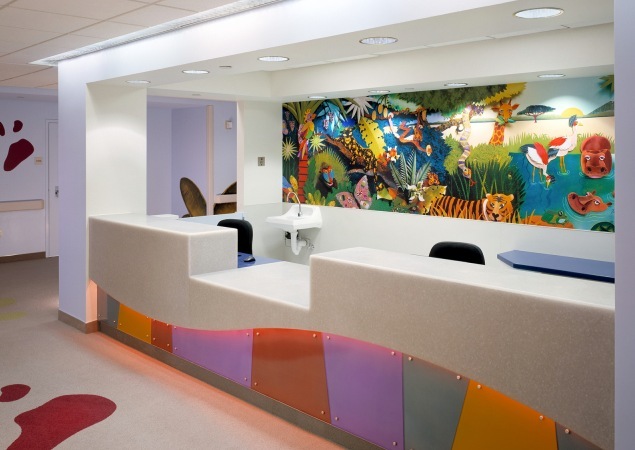 The design challenge was to develop an interior design theme that would both stimulate the child's mind as well as promote and hasten the healing process. 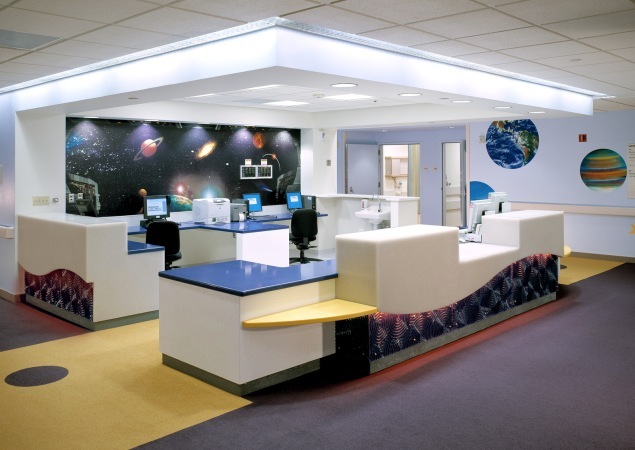 The nurse stations were rebuilt and the corridors transformed with photomurals, inset carpet, and paint. The theme of travel transports the child from the time they exit the elevator, on an airplane ride through the surf, sand, and sun of the tropics, underwater in a coral reef, into the deep recesses of intergalactic space, and through the jungles of Africa. The imaginary trip ends on an airstrip in the clouds, complete with working landing lights.